*Captain *aren't going to break boundaries, span genres and create life-changing anthems. In fact, they're a bit bland. They're for people who like ready-salted crisps, who subscribe to Reader's Digest; people who like things nice and modest, not too flashy or offensive. The indie Deacon Blue return with the obvious third single 'Frontline' from their debut album This Is Hazelville. It's another slice of synth-laden saccharine pop, that's been produced to the hilt and is so clean and shiny it could blind you. 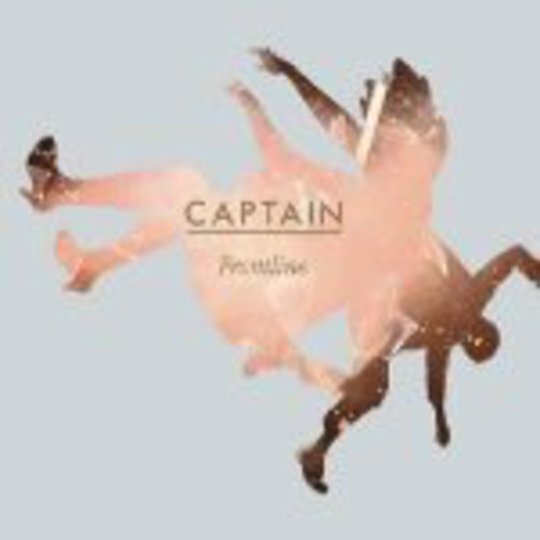 This record is a perfect example of Captain and what they're capable of: radio-friendly, affable yet insipid guitar tracks which are about as likely to cause a stir as a Jeffery Archer book signing. 'Frontline' gasps for life by throwing in a very ill-advised and out of place guitar solo, which can only be described as 'Slash-esque'; this is layered on top of a riff that sounds like someone messing around with The Edge's effects pedal. The band's only saving grace could be the vocal abilities of Rik Flynn and Clare Szembek, which would give Captain a much needed injection of passion and emotion if they were allowed to retain their raw quality. If you like your guitar-pop basic, hook-driven and ultimately tamer than Lassie, then pop down the shops and pick up a copy of 'Frontline'. Don't forget the value pack of ready-salted, too.